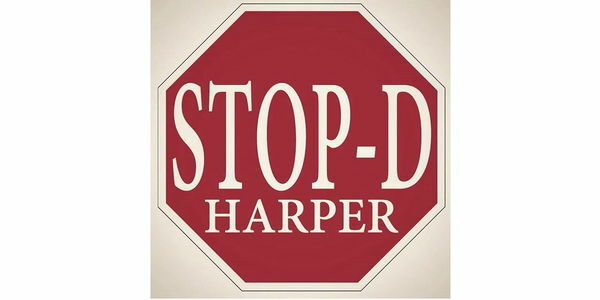 There is currently a petition to rename the airport after Stephen Harper. I oppose this so strongly that I wanted to provide a platform for others who also oppose it. There is a park in Edmonton named for the only city mayor to be found guilty of gross misconduct while in office. The excuse for naming the park after him was that he was Edmonton's longest serving mayor. The excuse for renaming the airport is that Harper is the longest serving Prime Minister from western Canada. Please, let's not make rewarding political criminals an Alberta tradition, okay? One such mistake is bad enough, with a local politician whom nobody outside the province (and few outside the city) has even heard of. To name one of the busiest airports in Canada for someone known internationally, who is the only PM to have ever been found in contempt of parliament is a disgrace. Let's just not. Please consider signing this petition to forstall a change in name from the Calgary International Airport to the Stephen J. Harper International Airport. I, for one, would be very pleased to never have to refer to Harper again, as anything, let alone as the airport that I almost invariably must make transfers in when I travel. While it is very possible that the petition to change the name will stall or make no headway with the airport authority, I want to ensure that voices opposed to the change are heard at least as loudly as those in favour. If you feel at all the same way, please sign. Thank you. Rename the East Calgary Landfill for Harper: 5635. Thank you for your support. I really appreciate it. We have surpassed the 10,000 original target, but let's not stop now! We are running steadily at double what the pro-name-change petition is receiving, but honestly I'd like to overwhelm their numbers. My real goal is 10 times whatever they receive. So if you know anyone else you'd be willing to pass the petition on to, please do so. Thank you again for signing.